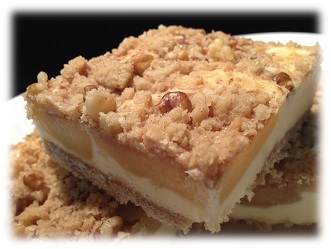 The Traditional Delicacy: Chunks of apples on a yeast cake, topped with handmade crumbles consisting of fresh butter, sugar and flour. 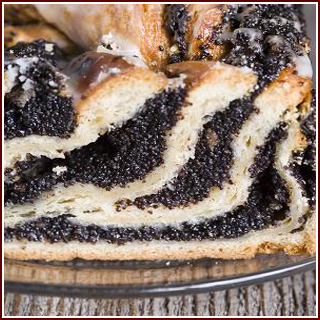 Pure Poppy Seed filling, moist and rich remind a lot of customers of the cakes they get in Eastern Europe. 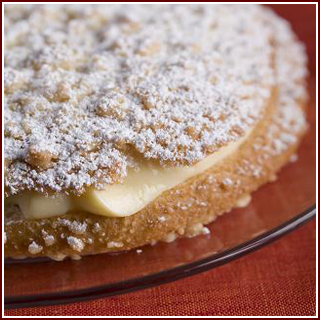 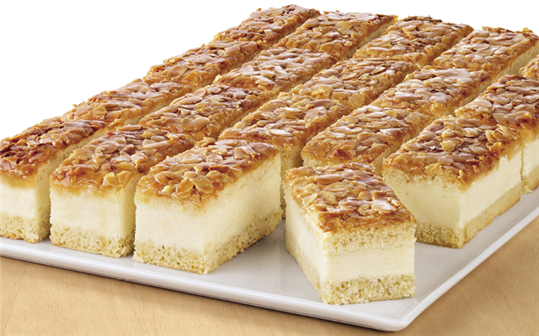 Vanilla Custard on light fluffy dough, topped with crumbles and powdered sugar.